A groundbreaking new initiative which puts children’s mental and emotional health at the heart of education is being launched in Shropshire. A new series of lesson plans, teaching core emotions, aims to encourage wellbeing and improve children’s behaviour and reactions – and could improve Government inspection results. On January 16 Ofsted launched a consultation on proposals for changes to the education inspection framework to take effect from September 2019. These included separate judgements on learner’s personal development and behaviours and how providers are deciding what to teach and why – and whether it is leading to strong outcomes for young people. 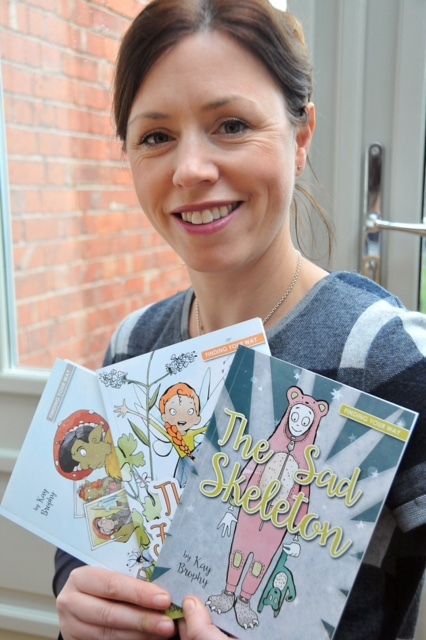 The lesson plans, which have been written by Shrewsbury-based author, psychologist and family practitioner Kay Brophy, and penned by primary school teacher Nick Russell of Head First Education, will be officially launched at Shrewsbury Library on February 28. Kay heads The Acorn Family, which specialises in providing counselling services to children, young people and their families, and said she is delighted to be able offer something new for classrooms. She said: “We have been working on this series for teachers and practitioners for a while and to hear Ofsted announce that they propose prioritising personal development is a huge boost. “At Acorn we know just how vital emotional health is for children. Children learn about core subjects like English and Maths but not every classroom teaches about core emotions. “Learning about emotions is simple to achieve but will help children gain valuable skills they will need for life. The series of lesson plans have been written to sit alongside a six-book Finding Your Way series for teachers to use in their classrooms. The books, specifically created for children, focus on the six core emotions of happiness, sadness, fear, anger, disgust and surprise. Accompanying lesson plans and resources are aimed at developing a whole school approach to delivering the key skills of emotional intelligence and mental health resilience from nursery age to year six, Key Stage two. Joanna Lovett, of Sundorne Infant School and Nursery, said: “We piloted this project with our Year 2 children last year and have expanded that to include Year 1 and Year 2 this year.